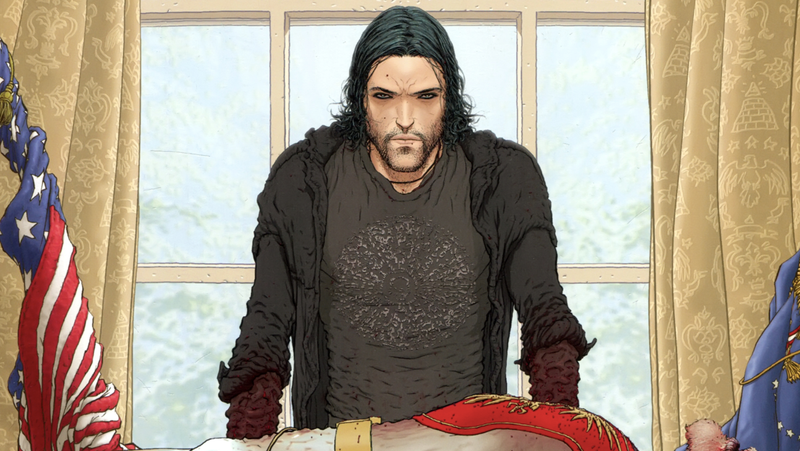 Brandon Sampson in Mark Millar’s Jupiter’s Legacy. Today, Netflix announced that it has plans to produce two drama series and three films all based on Millarverse properties. Jupiter’s Legacy, a story about the first generation of superheroes who came to power during the ‘30s who find themselves clashing with their children in the present day, has been ordered for an eight-episode first season with Daredevil creator Steven S. DeKnight attached as showrunner. Millar’s American Jesus, a comic following a young boy who realizes that he’s the reincarnation of Jesus, is being adapted into a six-episode season with brothers Everardo and Leopoldo Gout showrunning. Even though Netflix hasn’t quite mastered the art of executing genre films yet, it’s also greenlit the earliest stages of production on three movies based on Millar’s work. Huck, a comic about a Clark Kent type who secretly uses his superpowers to do good, is being adapted for the screen by Hidden Figures co-writer Ted Melfi. A woman will embark on a harrowing journey to escape her intergalactic overlord husband in Empress, written by Godzilla vs Kong’s Lindsey Beer, and a oddball pair of bounty hunters will set out for their biggest score in Sharkey the Bounty Hunter, penned by Scott Pilgrim’s Michael Bacall. So yeah, Netflix, unlike a lot of other studios sitting on comic book rights, seems to be none too shy about making use of the IP that it’s bought, which could work out very well if any of the projects end up making it to air and being legitimately good. That’s a big if, though.